iPlanet Jump is a funny,intelligent, challenging,very interesting game. iPlanet Jump will keep you entertained for days! 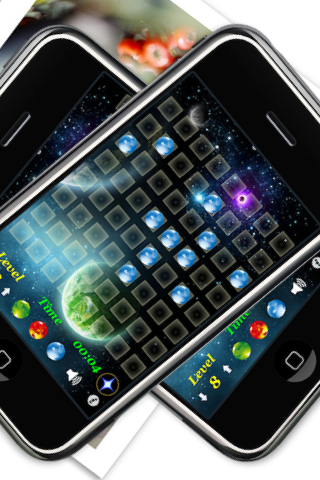 Each layout presents you with a whole different challenge each time you play the game. 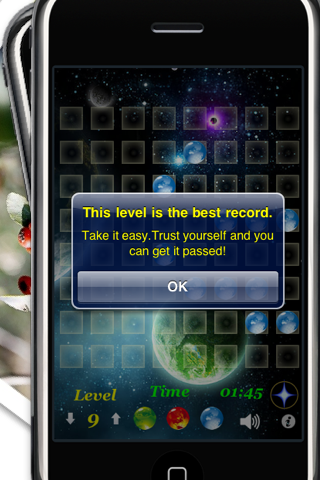 Try to clear levels by jumping any planet over other planet. The goal of the game is to have only one planet remaining on the screen. You will not be able to put this game down with its challenging levels and thousands of possible combinations. The game is harder and challenging with level 30 and get completely crazy with beginning level 40! Graduating to more difficult levels will give you opportunities to challenge your family and friends. See which one of you is the master of this game… Pass it to the next player... and the next one.... until someone can master it. Never think you will progress and become the master of the same level? Every game is different with the planets popping up in all different places. This amazing feature gives you thousands and thousands of different gaming experiences. 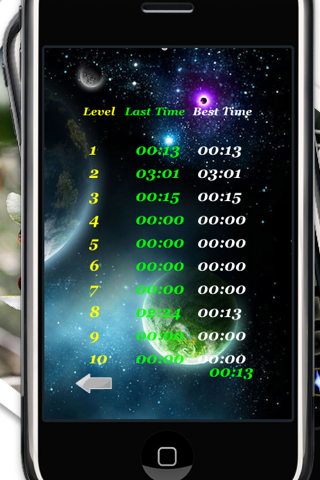 •Tap the planet will show its right jump position. •Drag and drop the planet into right place. 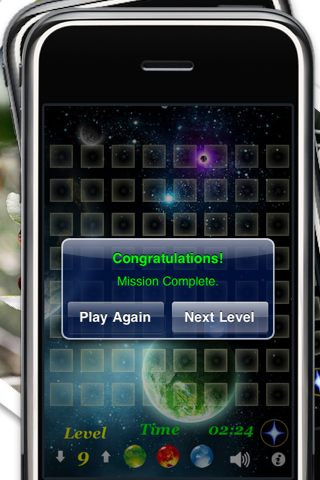 •Each drop action will eliminate the adjacent planet, if only one planet remaining on the screen,congratulations! •This is not timed, so relax and enjoy yourself! •Each level is unique and different,each level has thousand of Random possible combinations. •Faster and higher is the theme of this game. 1. 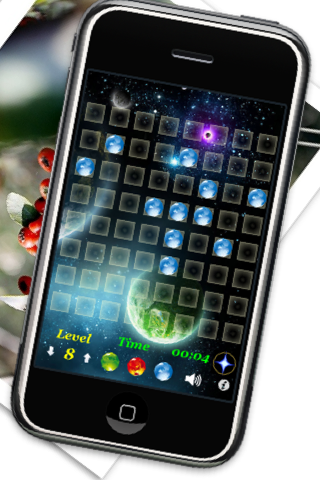 Start :Green planet icon, start a game,or shake the iPhone or iPod touch to create a completely new layout on the current level. 2. Restart: Red planet, same level and layout. 3.Undo:Blue planet, back last jump action. 4. Scores:Bright star, show your best time in each level and also your last record. Take it easy, keep your brain relax and improve your mental skills.You will be a master of this game. Challenge your friends with best time in each level. Tested for 3.0, 3.1 and 4.0. 1,Lite version level up to 18. 2,Restart game will restart time.